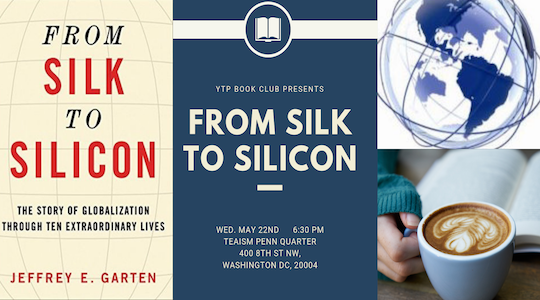 Join us in reading From Silk to Silicon, the first book to look at the history of globalization through the lens of individuals. From Genghis Khan to Margaret Thatcher, learn how the actions of a few leaders shaped today’s global trade environment. The author, Jeffrey Garten, is the former undersecretary of commerce for international trade in the Clinton administration and teaches at Yale University.